Legal decisions have human impacts. Share your story and raise your voice. How has abortion access, or a lack of it, affected the course and quality of your life for better or worse? 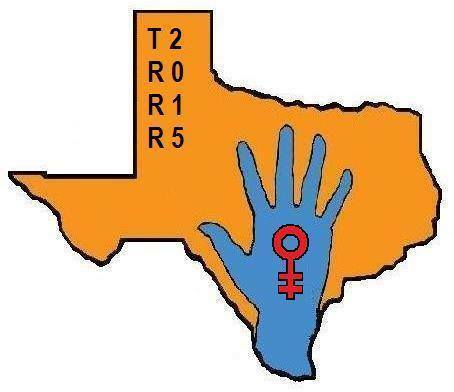 Let us and your incoming TX legislators know what impact abortion access has had on you, and why we need to ensure every Texan has control over their own bodies and their own lives. Write your story, handwritten is best. 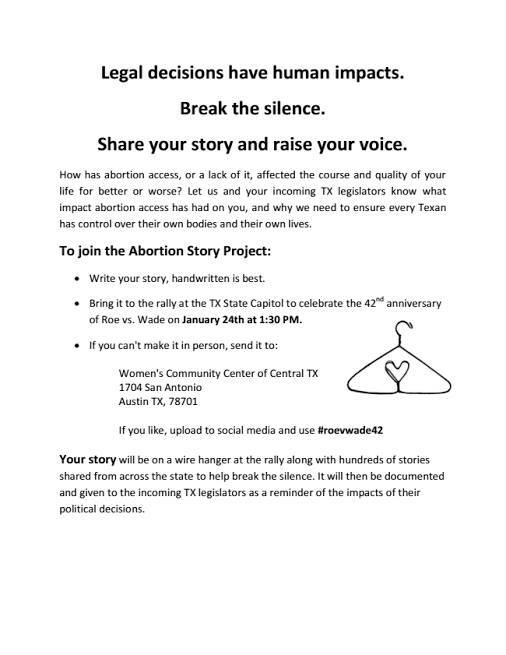 Your Story will be on a wire hanger at the rally along with hundreds of stories shared from across the state to help break the silence. It will then be documented and given to the incoming TX legislators as a reminder of the impacts of their political decisions.